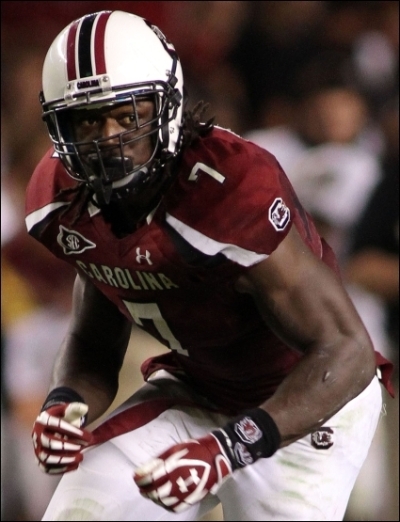 South Carolina DE/OLB Jadeveon Clowney could have jumped to the NFL out of high school. I'm not kidding. But because of rules that prohibit players from entering the NFL until being three years removed from their high school class graduation, Clowney can't enter the NFL until 2014 at the earliest. 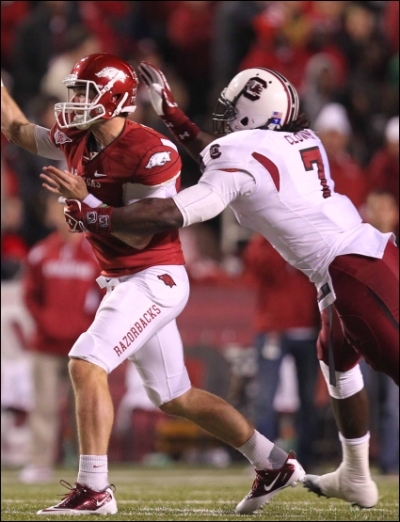 Who knows where Clowney will go if he does enter the 2014 NFL Draft, and to be sure he has a considerable amount to prove between now and then. But he has the type of elite talent that you seldom see at such a young age, and clearly Clowney has the potential to become a dominant NFL defensive force someday. If you want to read the Draft King 2014 NFL Mock Draft, click here.